Chairman of the Administrative Board of the Bank of Finland 1923-1940, 1944-1945. As a politician supported the Progressive Party; Member of Parliament 1919-1924, 1927-1929; Minister 1921-1922, 1922-1924; Prime Minister from 1 December, 1939 till 19 December, 1940, after the Russian attack on Finland; elected President of the Republic on 19 December, 1940, after President Kyösti Kallio had been taken permanently ill. 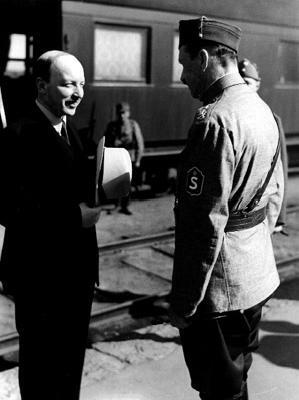 When the presidential election was approaching in winter 1942-43, there was a political movement to put Mannerheim forward as a candidate for presidency. 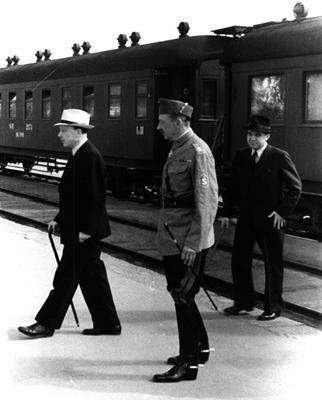 This was backed by the United States who believed Mannerheim to be more willing to negotiate peace than Ryti. 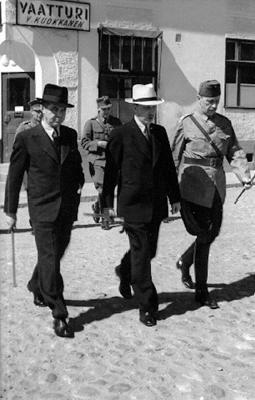 Mannerheim, however, declined candidacy and Ryti was re-elected in February, 1943. Ryti was convicted of war crimes in 1946 and sentenced to 10 years of imprisonment in a penitentiary, but was pardoned in 1949. Honorary Doctor of Helsinki University, 1956.